Advertise your business with content to grow website traffic and sales, improve search engine rankings and position your business as a thought leader. After working in beta testing and getting feedback from businesses and publishers in the last few months, we are very happy to open the first AdFree network to deliver relevant and useful business content to consumers. If you have ads, go somewhere else. But if you have valuable content, we would be happy to help you reach more customers with it. Get publicity and position your business as a thought leader. Grow website traffic, leads and sales. That’s what Michael Stelzner suggests in his new book “Launch”, and with praises from Guy Kawasaki, Seth Godin, Brian Solis and others you should at least listen to what Michael has to say. The main message is that great content plus other people minus marketing messages equals growth (GC+OP-MM=G). When you offer great content—such as detailed how-to articles, expert interviews,case studies and videos—that focuses on helping other people solve their problems, you’ll experience growth. The “other people” component transcends your reader base and involves reaching out to people outside your company, such as industry experts. Once the marketing messages are caged, the focus of your company shifts from “What can we sell you?” to “How can we help you?” You shift from pitching products to boosting people. Instead of investing in ad space, you invest in creating content, experiences, gathering places and communities where people who need help can find it. You have the chance to own the place people go to for help, eliminating your reliance on traditional marketing channels. You can become the center of your industry, niche or local market. And when that happens, you’re launched on an unstoppable trajectory that will take you places you never imagined possible. The result: You no longer need to sell! Instead, you demonstrate your expertise by the content you produce, the ideas you showcase, the stories you share and the people you attract. By creating a platform for others, you can also build strategic alliances, quickly grow a large following and dominate your industry. 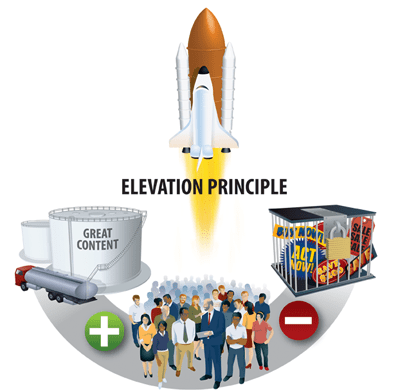 Think of content as the fuel for your rocket, and people as what ignites the fuel and directs the rocket. Think of marketing as friction that slows your rocket’s progress. The more you use it, the slower your rocket ship will move. If you want to launch and navigate your rocket ship succesfuly (launch new business, releasing a new product, or transform your company) you should read Launch – Highly recommended! I was recently invited to write for MediaPost publication about the future of media. You can read it and other articles about the future of media here. Let’s face it, most people don’t like online ads, are not interested in ads and do not click on ads. • According to the Pew Project for American Journalism annual report for 2010, the vast majority of Internet users, 79%, say they never or rarely had clicked on an online advertisement. They don’t mind them. They simply ignore them. • Click-through rates on Facebook ads only averaged 0.05% (5 clicks per 10,000 ads) in 2010. • According to Comscore and Starcom research, 8% of internet users account for 85% of all clicks on display ads. So, when marketers use ads they miss most of their potential customers. Then why online marketers continue to use ads as the main way to reach their target audience, and why publishers continue to use ads as the main way to monetize their content? It’s because online marketers and publishers copied the way offline newspapers monetize content – ads. The basic point about the Web is that it is not an advertising medium, the Web is not a selling medium, it is a buying medium. It is user-controlled. -Jakob Nielsen, Web usability expert, 1998. First, we need to find the essence of publisher’s value. The answer for me is simple, it’s what brought readers to the publishers’ site in the first place – great content. 1. Google doesn’t own any content, it’s like a parasite living on others’ content. 2. Marketers are paying billions to Google for sending users to their websites (via AdWords pay-per-click program). 3. Ads work well on Google because every ad in Google, looks the same as content (search result). How all this relates to publishers? As a publisher you want the ads to look like your content, but if you look deeper you can see that every time you write about a business and link to the business’s website, you create a value for that business (visitors and SEO benefits). It is clear to me that this value is much better than any ad the business may place on your site. 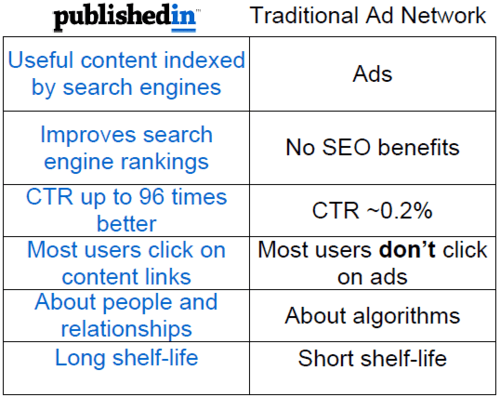 I believe marketers would be more than happy to pay publishers (as they pay Google) for the value they create for them. As a marketer, imagine that you are connected, on a daily basis, with many publishers relevant to your business and reach all their readers when they write about you. You can even provide them with your own news, white papers, events, presentations, etc. In contrast to advertising where the Web sites hosting the ads don’t really care about your business (except the money), here, the publishers have a genuine interest in the your business’s products and services. Would marketers be interested in it? You bet. I Have All This Content, Now What? Maybe you don’t know it yet but you are doing what is called “Content Marketing”. Basically, content marketing is the art of communicating with your customers and prospects without selling. It is non-interruption marketing. Instead of pitching your products or services, you are delivering information that makes your buyer more intelligent. The essence of thiscontent strategy is the belief that if we, as businesses, deliver consistent, ongoing valuable information to buyers, they ultimately reward us with their business and loyalty. First your website or blog. Social media sites like Twitter, Facebook and Linkedin. Email newsletter and email signature. Comments in forums and blogs. Video/Photo/podcast sharing sites like YouTube and Flickr. Article sites like Squidoo and Hubpages. Document/presentation sharing sites like Slideshare and Scribd. Social bookmarking sites like Stumbleupon and delicious. Social news sites like Digg and Reddit. 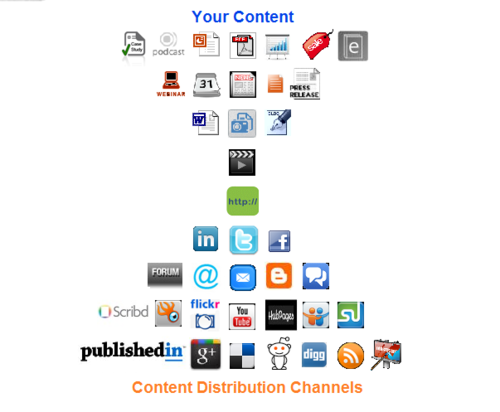 Content distribution platforms like Publishedin Ad-Free Network. It’s a new platform that can help you distribute your content to publishers relevant to your business, and reach all their readers when they write about you. Have more ideas for content distribution, add your comment. In a recent video published in AppSumo website, Jonathan Kay from Grasshopper reveals his company secrets that allow them to increase conversion rate from 1.5% to 20% and to decrease cost-per-click from $8 to $0.80. Let’s start with the average website conversion rate. Jonathan says that websites in general convert at 1% or 1.5%. I did some research and found some real time data of global conversion rate from Fireclick. According to their data collected from websites that are using Fireclick service the average conversion rate is about 2% (interesting to note is that a year ago the average conversion rate was more closer to 1.5%). Our website goes from 1.3% to 1.4% or 1.5%. If you were to convert at 1.6% or 1.7%, we could all take a vacation for literally months. It would be insane. Word of mouth converts it 20%. The answer is simple Word of mouth. When people talk, tweet, or blog about you and refer their readers to your website, your conversion rate could increase tenfold. When people search on Google they use branded terms or product-specific-terms. In Grasshopper case product-specific-terms would be an 800 number, voicemail, toll-free number. Branded terms would be Grasshopper, Grasshopper phone, Grasshopper phone number. 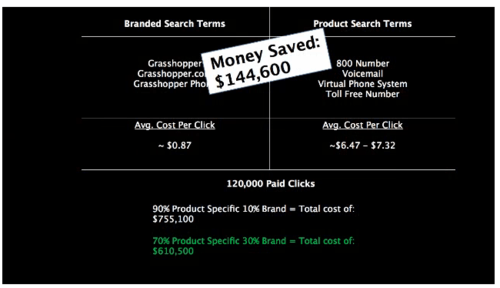 And how much Grasshopper pays for product-specific-terms versus branded terms? Jonathan says they pay about $0.79-$0.80 for branded name, versus $7-$8 for product-specific-name. The same word of mouth increases branded-terms searches, costing Grasshopper 1/8 or 1/9 of the price they would pay for product-specific-terms. I highly recommend you to watch Jonathan Kay’s full video on AppSumo website, it’s free but you need to register. Publishedin allows you to connect on a daily basis with many web publishers relevant to your business. You can provide them with information about your product or service, and reach all their readers when they write about you. I’m sure you already feel it, but here is some data I collected that explains why it’s getting harder and pricier to drive traffic to your website. 2008: 133 million (source Technorati). 2009: 126 million (Source BlogPulse). 2010: 152 million (Source BlogPulse). If you have some more supporting data, please comment below and I’ll update the post. A few days ago I received an email from Google with some interesting data about traffic sources gathered from Google Analytics users. Google describes it as an experiment to surface useful or interesting data to Analytics users. The data comes from all websites (hundreds of thousands) which have opted-in anonymous data sharing with Google Analytics. In this post I want to concentrate on Referral traffic which I believe is very important for any online business. Referral traffic means that people clicked a link on other sites and come to your site. It is not just that you get visitors to your site, every link also gives you a boost to your rankings in search engines Why referring sites traffic is better than search engines traffic. Visitors coming from referral traffic are engaged with your content much more than direct, organic search traffic or paid cpc traffic. The biggest difference is over paid search traffic – 70% more time on site. Visits from referral sources dropped 1.6% while total visits from other sources increased 1.6%. I believe this trend will continue as more websites that try to monetize their content stop to link to outside websites all-together Make money without manipulating your readers to click on ads. Publishedin gives back a reason for publishers to link outside to businesses. And Businesses gain more engaged visitors, and improve their SEO rankings. 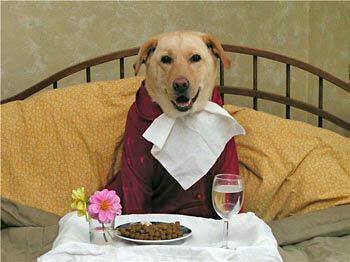 Publishedin “eats our own dog-food” through Publishedin Reward-Per-Click program. We are happy to announce that Publishedin uses its Reward-Per-Click program to reward publishers in Publishedin network for every click to our site. Wikipedia – Eating your own dog food, also called dogfooding, is when a company uses the products that it makes. In 2007, 68% percent of internet users did not click banner ads in a given month. 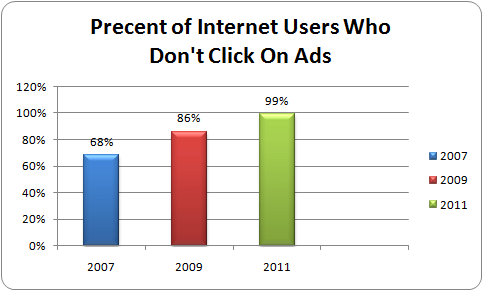 In 2009, that number increased to 84%, and only 8% of internet users represented 85% of all clicks. These results are from ComScore research. Now Collective Media released a new research showing 99% of internet users do not click ads. If your marketing plan is dependent on a click, your audience is getting smaller. A lot smaller. Looking for a solution? 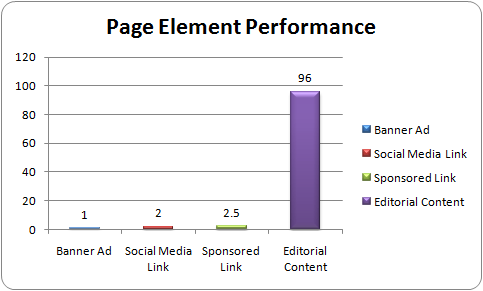 Read my last post How Much Better Is Editorial Content Than Banner Ad? How Much Better Is Editorial Content Than Banner Ad? Exactly x96 times more. This is a real result from a test done on a major blog-format media company comparing an ad unit to other elements of the page. Banner Ad: The top banner ad is outperforming the industry average 0.10% click rate. Social media links: Even though it is below the fold, the click rate on a link to the client’s Twitter account is 2x the top banner ad. Sponsored resources: A small text link to access content from the client is getting 2.5x the click rate of the top banner ad. Sponsored posts: Sponsored posts, running approximately every other week, are shared on Facebook and Twitter more often than the top banner is clicked, by nearly a 2-1 margin. Editorial articles: There are 96x as many Twitter and Facebook shares on articles as their are clicks on the top banner. Advertising, although performing well versus industry benchmarks, is not what the audience is engaging with. In fact, comparing advertising engagement to other elements of the page, the reality, that the audience simply does not engage with advertising, is clear. There are more comments on editorial articles than clicks on the top banner ad! Editorial Content Is Much Better Than Advertising. Why? Because readers come for the editorial content, not the ads. We have a better offer: Publishedin allows businesses to share their advertising dollars with publishers and grow website traffic, sales, and improve SEO rankings, all without writing a single ad. With Publishedin Reward-Per-Click program, businesses reward publishers when people click to their website. It is like Google AdWords without the ads. Copyright © Publishedin 2010–2011. Patent Pending Technology.